I’m a cheese and dairy fanatic. So for obvious reasons my favorite holiday is Shavuot. This is when spring has sprung and my family makes a whole spread of cheese and dairy filled foods and desserts. There is always a whole ton of different cheeses, spreads, breads, fluffy cheesecake, kugel, blintzes, and, my absolute favorite, bourekas–puff pastry or a simple butter pie dough filled with cheese and either potato, mushrooms, or spinach. When you manage to get one hot out of the oven they’re heavenly! So why not have sweet bourekas on the table too? I will be taking care of that this year. 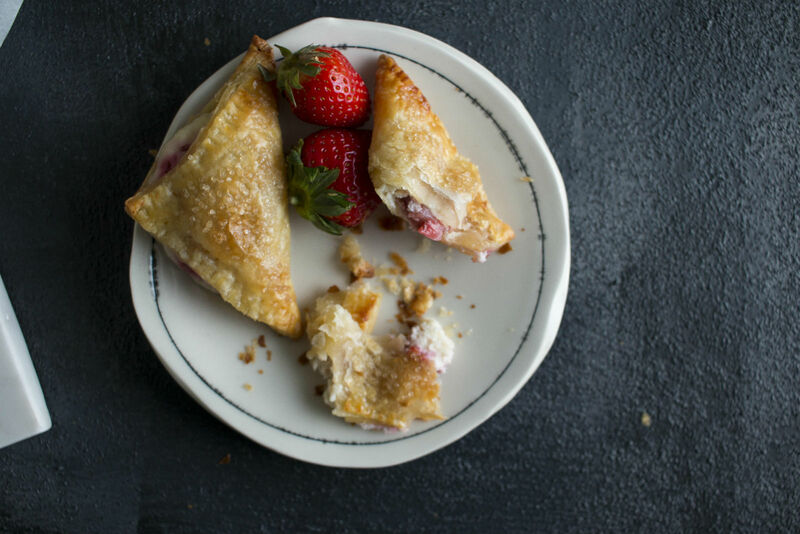 These are filled with a sweetened ricotta cheese and macerated strawberries since they are in season. No fresh strawberries around? Try using jam in whatever flavor you like. 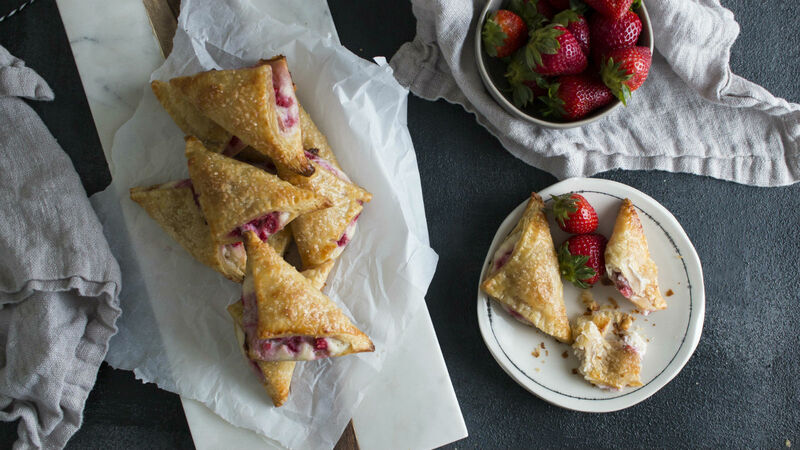 You can also make these ahead and freeze them, baking one by one for a midnight snack if you really want. The beauty of bourekas is that you can bake them even if they are frozen. I love a good make-ahead recipe when I know I’m making a whole slew of things during the holidays. 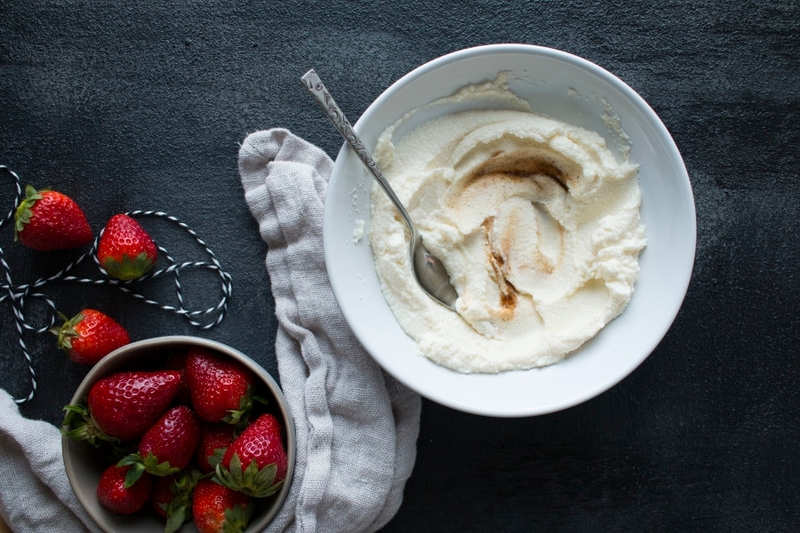 Mix the diced strawberries and sugar (1/2 tsp) in a small bowl and allow to sit for 5 minutes. 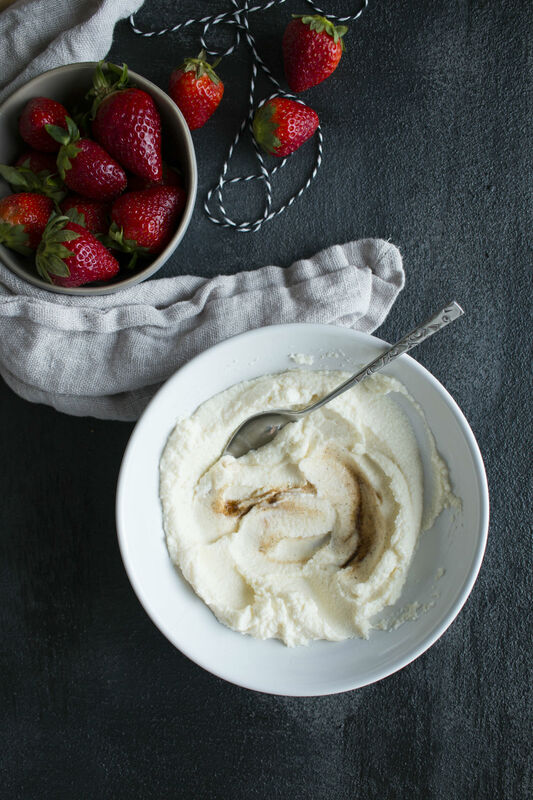 In a separate bowl, combine the ricotta with the sugar (1 ½ tbsp) and the vanilla bean paste. Prepare an egg wash by whisking the egg with a splash of water. Line a sheet pan with tin foil and coat with a bit of cooking spray. 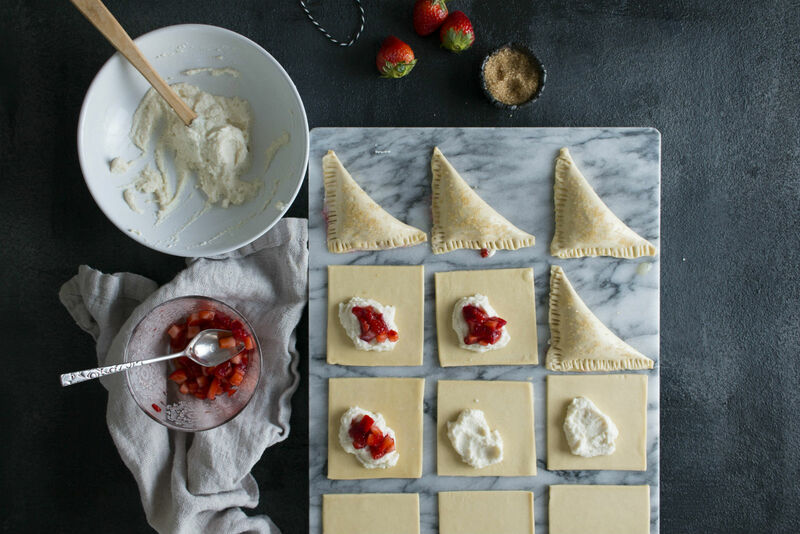 Fill each square with about 2 teaspoons of ricotta filling and about a teaspoon of strawberries leaving at least a 1/4 “ border. Brush some egg wash along the edges of the puff pastry and seal them into triangles. Use a fork to press down along the edges. Brush the tops with egg wash and sprinkle with lots of coarse sugar. Transfer the bourekas to the prepared sheet pan and place in the freezer for at least 30 minutes. At this point you can transfer them to ziplock bags and keep frozen until you’re ready to bake them. Pre-heat the oven to 400˚F and bake until golden brown and flakey, about 18-20 minutes.